Powerful yet melodic, The Mentulls are a British rock/blues band with influences of 70’s progressive rock, blues, classical, folk and pop music. Imagine the power of Uriah Heep and Cream, with the melody of Wishbone Ash and Procol Harum, The emotion of Focus plus the energy of Atomic Rooster all rolled in to one. The Mentulls, as well as touring in their own right, have played high profile supports and tours with legendary bands and artists including Wishbone Ash, Focus, Walter Trout, Dr Feelgood, Mick Ralphs of Bad Company and Mott The Hoople, King King, Aynsley Lister and many more. Live performances have stunned audiences with their music making a huge impression across the UK and Europe. The past two years have seen the band play at top UK festivals including Weyfest, The Great British R&B Festival, Skegness Rock & Blues, Newark Blues, Maryport Blues and Hebden Bridge Blues. 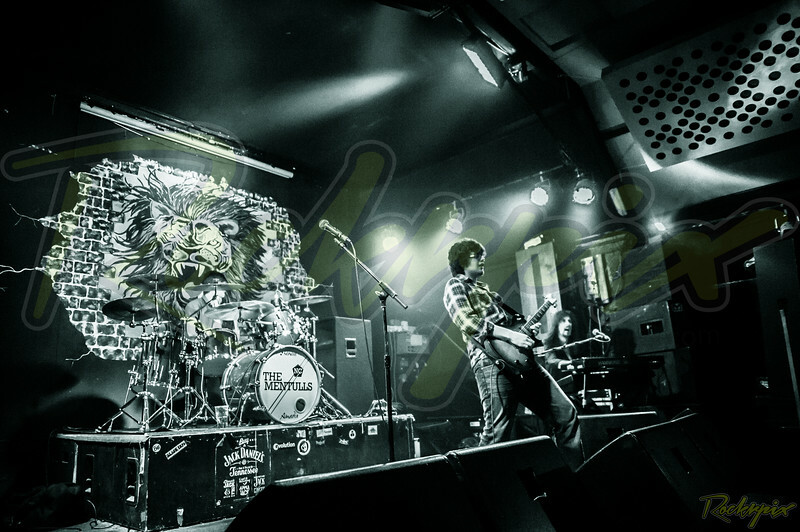 January 2013 saw the band’s first tour of Europe supporting Wishbone Ash in The Netherlands. The latest studio album ‘Time Flies’ which was realised in 2012 continues to attract international radio airplay throughout the UK, Europe, Australia and the USA. The album received rave reviews including a 5 star rating from getreadytorock.com. The Mentulls were also featured on ‘Classic Rock Presents The Blues’ magazine’s ‘Young, Gifted & Blues’ CD along with artists such as Joanne Shaw Taylor, Oli Brown, The Strypes among others. Andrew Pipe, guitarist and vocalist in the band was also nominated for the ‘Best Young Artist’ Award in the British Blues Awards in 2012 and 2013.